Superdrug is the UK’s fastest growing Health and Beauty retailer with over 700 stores across the country and they have announced their intention to open over 100 more in the next few years. Click here to find your nearest Superdrug store. Where can I check my Superdrug giftcard balance? Currently, it’s not possible to check the balance of your Superdrug gift card online although we understand from them that this is something they are looking at providing in the future. You can find your current balance out by presenting your card at the till at any Superdrug store. Click here to find your nearest store. You can call Superdrug on 03456 710 709. This telephone number is operated by Superdrug. Where can I buy Superdrug gift cards from? You can buy Superdrug gift cards from any Superdrug store. They are supplied with free gift wallets. Where can I spend Superdrug gift cards? The cards can be redeemed in any Superdrug store but for the moment cannot be redeemed online. We’ll of course update this page if this changes. Anything else I should know about Superdrug gift cards? If the card isn’t used for a consecutive period of 24 months, then any balance on it will be reduced to zero. 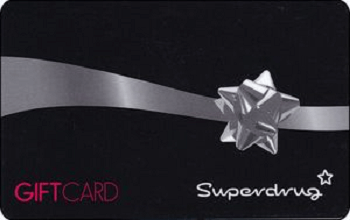 You can top up a Superdrug gift card up to the maximum balance of £100 at any Superdrug store in the UK. Our top tip is: if your card is about to expire and you’re not ready to spend it yet, go to a store and top it up to get another 24 months’ validity on the card and prevent it from expiring.